Vancouverites are always looking for cheap eats – an inexpensive bite with flavour to match the value. But that’s not quite enough. We want to eat this bounty in a hospitable atmosphere. So where do we go for quality cheap food? Whether you’re looking for a filling breakfast, an affordable beer snack, rib-sticking dinner or something to satisfy your sweet tooth, here are some of your best bets for good stuff under $10. A list like this needs contributions from many avid eaters. Pound the pavement; fill your bellies. And help us add more restaurants. 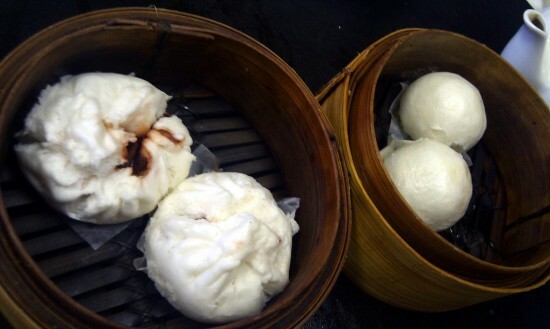 1) Steam buns/dim sum: The pillowy steam buns at New Town Bakery inChinatown are considered the best in town. Fillings range from spicy pork to sweet black bean paste and veggies. Each bun costs between $1-$2. And every Vancouervrite should know that dim sum at restaurants like Kirin and Floata offers amazing value for money when it comes to brunch/lunch. You can stuff yourself silly with delicacies, washed down by tea, and leave with a minimal bill. The cart service makes it that much more fun. 2) Food cart food: PazzaRella Wood Fired Pizza is not only remarkable because they’ve managed to maneuver a wood fired pizza oven into a food truck, they’re one of the few places in town where you can still get authentic Neapolitan pizza for under $10. Another great option is La Brasserie Street, who serves up a fat, filling beer-brined rotisserie chicken sandwich with buttermilk fried onions for $6.25. 3) Breakfast: Everyone talks about the super cheap menu at Bon’s Off Broadway. Fair enough. It’s possible to eat cheap and up the value/flavour/atmosphere at East Van’s iconic Save On Meats. The satisfying SOM breakfast sandwich (a buttermilk cheddar biscuit, scrambled egg, cheddar and ham) is only $4. Step it up with the ham and cheese Le Croque sandwich, served with hashbrowns, for $8.50. 4) Beer snacks: For the best inexpensive and creative snacks to accompany craft beer, both Tap & Barrel in Olympic Village and Bitter Tasting Room in Gastown have tasty deals and and exhaustive beer lists. The addictive bacon chips with scratch catsup beer snack is $5 at Tap. Upgrade to sticky yam fries with burnt marshmallow fluff for $8. Meanwhile sli-dogs – two mini hot dogs, one‘Polish’ dog with saurkraut, dijon, and one ‘American’ dog with French’s and ketchup – are $8 at Bitter. Start with those and you may forgo dinner. Other fun snacks, such as Scotch eggs (sausage wrapped egg) are $4.25 while deviled eggs with chives and paprika, are only $1.20. 5) Eats with a view: Nothing beats the view from the various waterfront locations ofBoathouse restaurant. Sidle up to their bar at “appy hour” between 3 and 6pm and enjoy options like ahi tuna tacos for $6.99, prime rib sliders for $8.99, calamari with tzatiki for $5.99 and more. Rice, slow-braised AAA beef, chipotle curry, egg, served in a hot stone bowl) is under $10. Another option is a hearty sandwich. Kitsilano’s buzzing about new rotisserie Nosh who ups the sandwich ante with their generous, locally-sourced, house roasts. Try the pork banh mi with pork pate, pickled vegetables, fresh herbs and whipped butter for $9. The second most popular – short ribs with celeriac and horseradish aioli on toasted sourdough – is also $9. 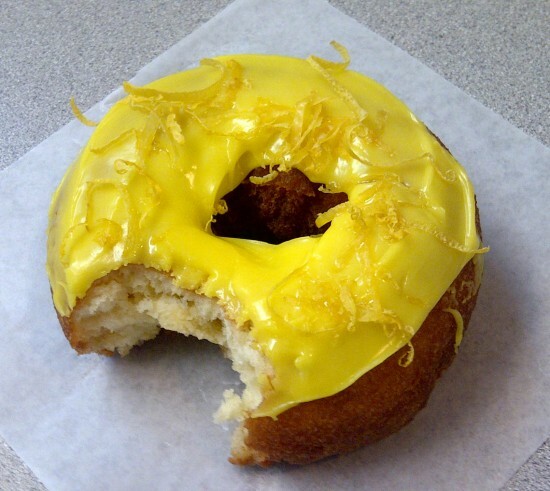 7) Dessert: In the midst of the fancy doughnut craze, with prices over $3 for fried dough, you can still count on Lee’s Donuts in foodie destination Granville Island Public Market to keep their prices below $2. Folks line up for their classic honey dip doughnut, although tempting seasonal flavours are always available. Meanwhile afancy-pants macarons (in flavours like lychee and salted caramel) from French patisserie Thierry on Alberni will only set you back $1.95.